A video has recently been posted on YouTube featuring a brutal-looking Jeep Grand Cherokee Trackhawk drifting on a rancho field, which is wet from rain, and doing “donuts”. The hood compartment of the heavy off-roader conceals a 6.2-liter, eight-cylinder turbocharged engine rated at 717 hp (535 kW). Partnered with an 8-speed automatic transmission, it accelerates 0-100 km/h (0-62 mph) in 3.7s and ultimately hits almost 300 km/h. 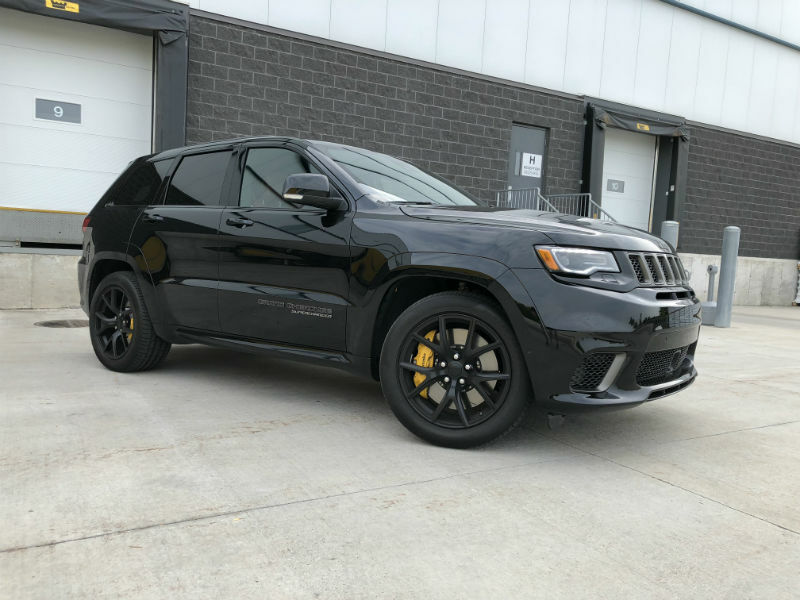 According to Jeep, the Trackhawk isn’t just a crazy SUV that can accelerate and ride like a racecar, but also a useful thing to have in your household. The monstrous automobile can haul up to 3,266 kilograms (7,200 lb) of weight in a trailer attachment.